A Glimpse into A Way of Seeing. In closing, hopefully you will find your way back here again. 2020 is just around the corner. For those who might be interested in deepening their understanding of these areas, I can wholeheartedly recommend the following books: 1.) The Way of Zen 2.) An Introduction to Zen Buddhism 3.) Manual of Zen Buddhism 4.) Essays in Zen Buddhism, First Series 5.) Essays in Zen Buddhism: Second Series . 1.) The Diamond Sutra 2.) The Heart Sutra 3.) A Treasury of Traditional Wisdom: An Encyclopedia of Humankind's Spiritual Truth (Wisdom Foundation series) 4.) Words to the Wise: A Practical Guide to the Esoteric Sciences 5.) The Tao of Physics: An Exploration of the Parallels Between Modern Physics and Eastern Mysticism . Are You Awake? Are You Aware? 2020 is a significant year – it marks the beginning of the third decade of the 21st century, and if we look close enough, we can see that the numbers 2020 contain the mystery of 11:11. How is that significant? Well, some say it is a wake-up call of some sort – to see more clearly, to awaken to the deeper truths, to awaken to our full potential. And as you may know, 20/20 indicates the sharpness or clarity of vision. This brings us to an important point: In a way, the Book that will be published in 2020 – is Life’s unique way to restore the perfect 20/20 vision that got lost somewhere along the way. The book itself comes from the perspective of Pure Awareness, which is a natural state of effortless being, in which we are able to directly connect to the Source of Life itself. You have not landed here by accident. There was a knowing within you that this is where you needed to be, where you were being called to – so welcome – stay a while. If you like, I would like to share a vision with you. It consists of three distinct but very much interconnected parts: 1.) The one you are currently reading, 2.) Are You Awake? Are You Aware?, 3.) A Glimpse into a Way of Seeing. These parts will serve as an appetizer, which will give you just enough to ignite the spark of interest, but not too much to overwhelm you with the details. 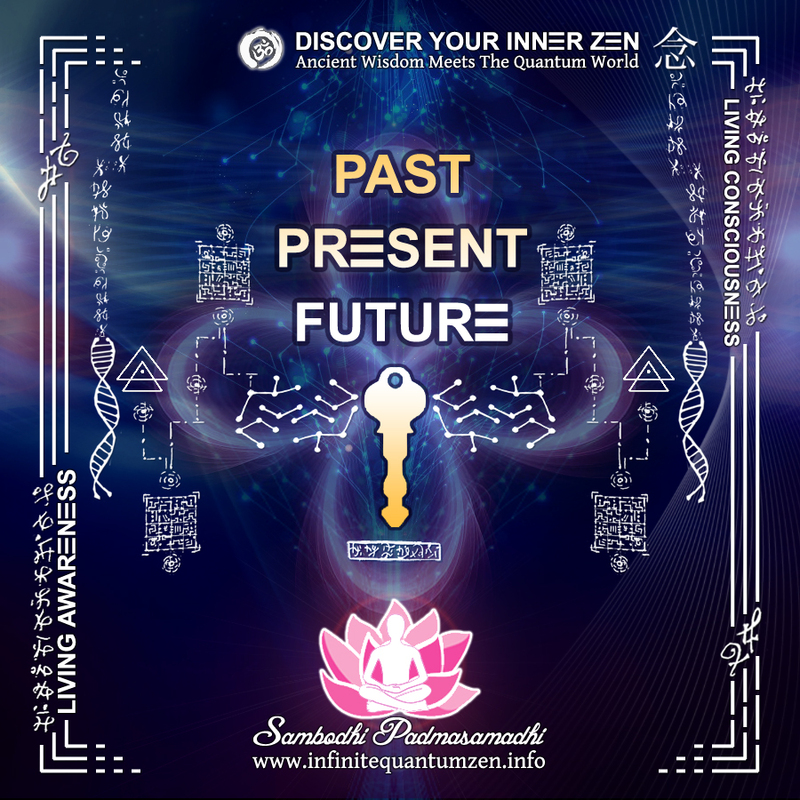 At this important point in time, 2020, something incredibly wonderful is about to unfold... Hopefully you will find your way back here again – to see why your path in life has led you here in the first place. As we head into the third decade of the 21st century, it is more clear than ever before: we as the collective human species are in dire need of transformation. Indeed, we live in times of profound transformation marked by a crisis of sustainability. The current system we have is in decay because it depends heavily on finite resources, and hence it would be an understatement to say that infinite economic growth on a finite Earth is the epitome of unsustainability. As a consequence, a centuries old modern industrial world is coming to an end and a new world is being born. An optimist would say that this may be a blessing in disguise, for we can see that a new world is being born from the ashes of the old. The current system is hierarchical – based on a top-down approach, which is way outdated and outmoded. By contrast, this new emerging world is complex, systemic, interconnected and ever-evolving. Hence, it is evident that this juncture represents an opportunity to create a totally different kind of social and economic structures. Thus, I would like to invite you to consider that we may need a whole new worldview to navigate this challenging time we face today. Having said that, it is worth pointing out that for the first time in human history, we have everything we need to make life beautiful for all of humanity. Therefore it is our personal and collective responsibility to change ourselves if we would like to see humanity moving towards this goal. If we break free from old ways of thinking and seeing, we can change ourselves – both individually and collectively. What makes the difference is how skillfully we learn to utilize everything we have already discovered. Therefore we should use this opportunity to create systems based on non-centralized, bottom-up and emergent approaches. With this transformation comes a new paradigm that will lead us in a direction to discover more sustainable ways of living. This process will inevitably lead us to a completely different kind of worldview, in which the perspective is shifted from the parts to the whole. We can already see that a new kind of worldview has begun to emerge – a view that turns out to be closely related to the views of mystics of all ages and traditions. This kind of view can be called a holistic approach – seeing the world as an integrated whole. What’s amazing in this kind of holistic worldview is that it blends together the wisdom of ancient spiritual traditions with the new discoveries in quantum physics and modern science. At the most fundamental level, we are talking about returning to the ways of our ancestors by living in harmony with nature – gently adjusting our lifestyle to bring us back into balance.